FIBA 3x3 World Tour 2019 - Doha Masters. Chooks-To-Go Pasig (2-0) defeated world no. 1 Liman of Serbia (1-1), 19-16 to sweep Pool A of the elimination round and advances to the quartefinals of the 2019 FIBA 3x3 World Tour Doha Masters on Friday in Doha. PASIG CHOOKS 19 - Statham 9, Munzon 4, Pavlovic 4, Tsagarakis 2. LIMAN 16 - Ratkov 6, Vasic 5, Kojic 3, Kovacevic 2. 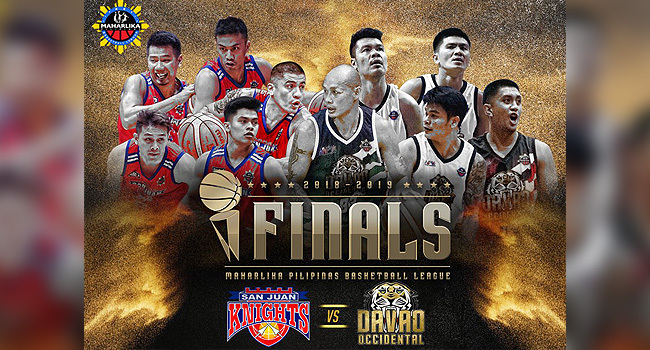 MPBL 2019: (April 16, 2019) San Juan Knights defeated Davao Occidental Tigers, 67-62 in Game 3 to take a commanding 2-1 series lead of their best-of-five MPBL's Datu Cup 2019 National Finals on Tuesday night at the FilOil Flying V Center. San Juan's John Wilson led Knights offense with a monster game of 21 points (7-16 FG) with 8 rebounds, 4 steals, 3 assists and 1 block in 34 minutes of play while teammate Mark Cardona finished the game with 16 points (7/13 FG) with 7 rebounds, 5 assists, 2 steals and 1 block. Final score: 67-62 in favor of San Juan Knights-Go For Gold. San Juan leads the series 2-1. SAN JUAN 67 - Ayon Ayon 15 (4reb), Clarito 12 (17reb), Wilson 12 (7reb), Cardona 9, Rodriguez 8 (7reb), Reyes 4, Wamar 4, Isit 2, Jeruta 1, Tajonera 0, Muyang 0, Aguino 0, Marquez 0. DAVAO 62 - Calo, Yee, Terso, Najorda, Custodio, Robles, Ombecan, Medalla, Lamocha, Raymundo, Estrellante, Adormeo. PBA Philippine Cup 2019: Magnolia Hotshots Pambansang Manok defeated Rain or Shine Elasto Painters, 85-74 in Game 3 of their best-of-seven semifinals of the 2019 PBA Philippine Cup on Tuesday night at the SMART Araneta Coliseum. MAGNOLIA - Lee, Sangalang, Barroca, Jalalon, Reavis, Melton, Ramos, Brondial, dela Rosa, Simon, Herndon. 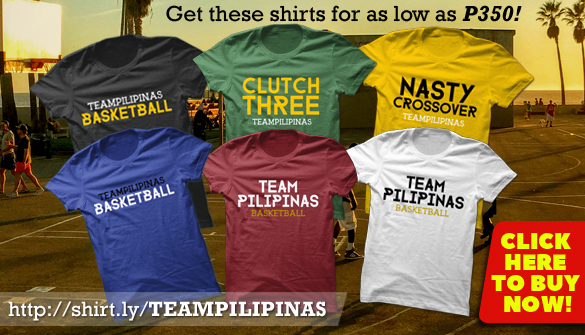 RAIN OR SHINE - Mocon, Norwood, Belga, Daquioag, Rosales, Yap, Nambatac, Borboran, Ponferada, Torres, Ahanmisi. Marcio Lassiter led SMB's offense with 24 points with 7 rebounds and 3 assists while teammate June Mar Fajardo with a monster double-double of 19 points, 18 rebounds, 4 assists and 3 blocks. SMB big man Christian Standhardinger ejected from SMB-Phoenix game for a flagrant foul penalty 2 on Calvin Abueva at the 6:10 mark in the second quarter. SAN MIGUEL 92 - Lassiter 24, Fajardo 19, Romeo 14, Cabagnot 8, Pessumal 8, Ross 7, Santos 7, Tubid 3, Standhardinger 2, Ganuelas-Rosser 0. PHOENIX 82 - Abueva 16, Wright 13, Jazul 12, Perkins 12, Chua 12, Mallari 8, Intal 4, Marcelo 2, Kramer 2, Mendoza 1, Revilla 0. PBA Philippine Cup 2019: Rain or Shine Elasto Painters defeated Magnolia Hotshots Pambansang Manok, 84-77 in Game 1 of their best-of-seven 2019 PBA Philippine Cup Semifinals on Friday night at the SMART Araneta Coliseum. RAIN OR SHINE 84 - Daquioag, Nambatac, Belga, Ponferada, Norwood, Mocon, Yap, Torres, Ahanmisi, Borboran, Rosales, Maiquez, Onwubere, Alejandro. MAGNOLIA 77 - Lee, Barroca, Ramos, Sangalang, Reavis, Jalalon, Brondial, dela Rosa, Melton, Herndon. MPBL 2019: (April 11, 2019) San Juan Knights defeated Davao Occidental Tigers, 84-74 in Game 1 of their best-of-seven MPBL's Datu Cup National Finals on Thursday night at the Davao Recreation City Center. SAN JUAN 84 - Wamar, Cardona, Rodriguez, Wilson, Clarito, Muyang, Aguino, Ayon Ayon, Jeruta, Isit, Tajonera. DAVAO 74 - Yee, Calo, Estrellante, Raymundo, Custodio, Terso, Robles, Najorda, Lamocha, Adormeo, Medalla. PBA Philippine Cup 2019: Magnolia Hotshots Pambansang Manok eliminates Barangay Ginebra, 85-72 in do-or-die QF Game 3 and to advance to the semifinals of the 2019 PBA Philippine Cup on Wednesday night at the SMART Araneta Coliseum. Paul Lee led Hotshots' offense with 25 points (9/15 FG, 5/8 3pts) with 5 rebounds and 3 assists in 29 minutes of play. 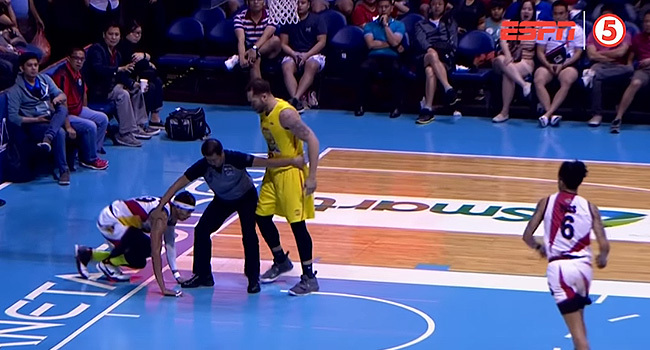 The Hotshots will now face Rain or Shine Elasto Painters in the best-of-seven semifinals. MAGNOLIA 85 - Lee 25 (5/7 3pts), Barroca 13, Ramos 11, Sangalang 10 (10reb), Reavis 6, Jalalon 6,Brondial 5, dela Rosa 4, Melton 3, Herndon 2. 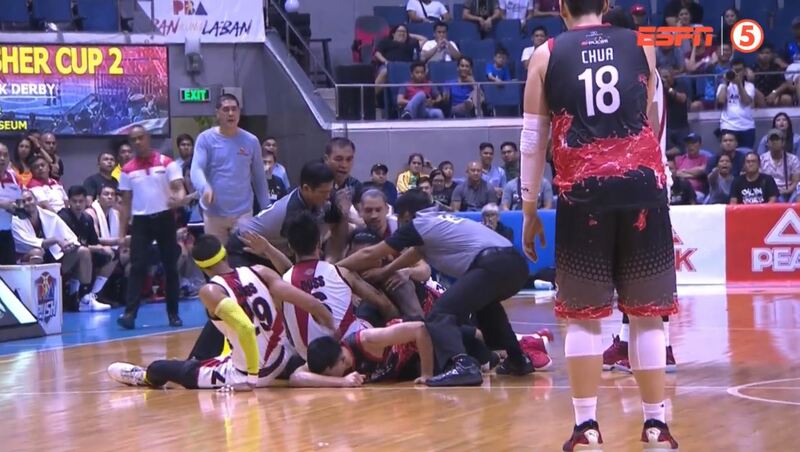 GINEBRA 72 - Chan 17, J. Aguilar 16, Devance 12, Slaughter 9, Mercado 8, Tenorio 5, Thompson 3, Dela Cruz 2, Ferrer 0. PBA Philippine Cup 2019: San Miguel Beermen eliminates TNT KaTropa, 80-78 in do-or-die QF Game 3 and to advance to the semifinals of the 2019 PBA Philippine Cup on Wednesday night at the SMART Araneta Coliseum. 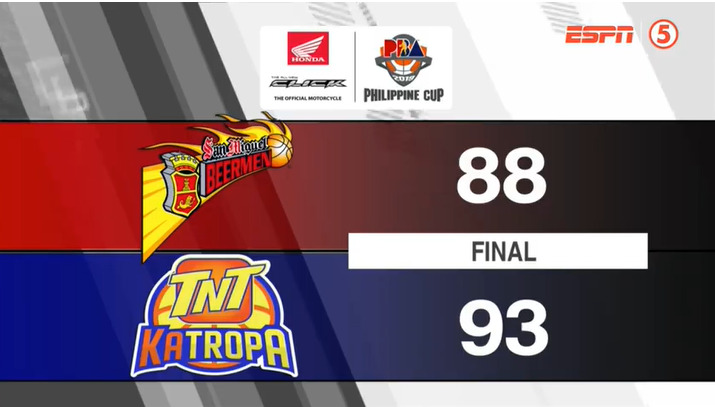 PBA Philippine Cup 2019: TNT KaTropa defeated San Miguel Beermen, 93-88 in Game 2 to force a rubber-match in their best-of-three quarterfinals of the 2019 PBA Philippine Cup on Saturday night at the SMART Araneta Coliseum. TNT 93 - Pogoy 20 (9reb, 4ast), Castro 19 (9ast, 3stl), Rosario 15 (12reb), Trollano 12 (5reb), Reyes 9, Washinton 5, Williams 4, A. Semerad 4, Taha 4, Heruela 1, Carey 0. SAN MIGUEL 88 - Fajardo 26 (19reb), Standhardinger 18 (8reb), Cabagnot 16, Romeo 12, Ross 6 (6ast), Lassiter 5, Santos 5 (9reb), Ganuellas-Rosser 0, Pessumal 0, Nabong 0., Tubid 0. 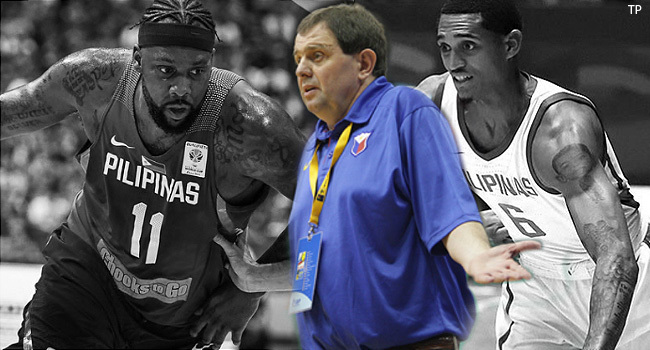 PBA Philippine Cup 2019: No. 2 seed Rain or Shine Elasto Painters eliminates NorthPort Batang Pier, 91-85 in the quarterfinals of the 2019 PBA Philippine Cup on Sunday night at the Mall of Asia Arena. Kai Sotto's Latest News & Updates. Filipino-American cager Jordan Clarkson, the Cleveland Cavaliers point guard, offers some advice to Kai Sotto and Fil-Am Jalen Green. "It's good for him (Kai Sotto), for him to learn something different. Being around the game here in the States, and Europe. It's gonna be good for his growth,"
"I look forward to watch (Jalen Green) grow as a player and hopefully maybe step in the NBA court, make a name for himself." Clarkson told TJ Manotoc of ABS-CBN. MPBL 2019: (April 6, 2019) Batangas City Athletics-Tanduay defeated Davao Occidental Tigers-Cocolife, 76-74 in overtime in Game 2 to force a rubber-match in the MPBL's Datu Cup South Division Finals on Saturday night at the De La Salle-Lipa Gym in Lipa City, Batangas. BATANGAS 76 - Grimaldo, Viernes, Alvarez, Eguilos, Acuña, Santos, Villamor, Olayon, Abatayo, Tagarda 0, Rogado 0. DAVAO OCCIDENTAL 74 - Custodio, Yee, Terso, Calo, Najorda, Robles, Raymundo, Medalla, Regaldo, Adormeo, Gonzales. 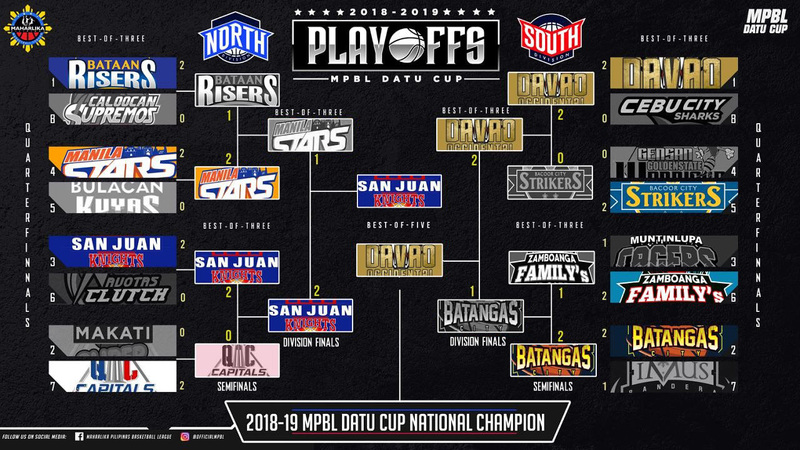 MPBL 2019: (April 6, 2019) San Juan Knights defeated Manila Stars, 92-90 in Game 2 to force a rubber-match in the MPBL's Datu Cup North Division Finals on Saturday night at the San Andres Sports Complex. SAN JUAN 92 - Wilson 18 (6reb), Clarito 16 (7reb), Muyang 13 (7reb), Cardona 10 (6reb), Isit 7, Aguino 7, Rodriguez 6 (8reb), Jeruta 5 (7ast), Ayon Ayon 4, Tajonera 3, Wamar 3, Reyes 0. MANILA 90 - Dinisio 28 (14reb), Bitoon 24, Hayes 14 (10reb), Cervantes 6, Montilla 5, Arellano 4, Yap 3, Cruz 3, Belorio 2, Orquina 1, Laude 0, Lopez 0.